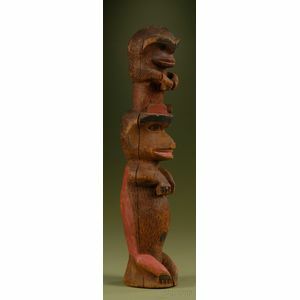 Northwest Coast Carved and Painted Wood Totem Pole, c. second half 19th century, a stylized seated bear with cub (?) on her head, detailed with red and black pigment, (repairs), ht. 16 1/2 in.